Happy (almost) Halloween! 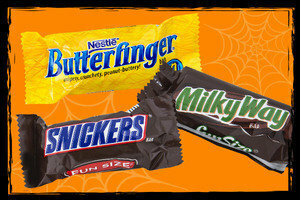 Before you dig into that pile of bite-sized candies, check out this calorie guide to some of the most popular picks! It's almost scary how helpful it is... Don't forget to SHARE! Low-Calorie Standouts! 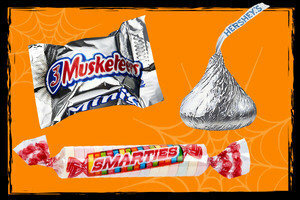 Each of these treats has 25 calories or less (SmartPoints® value 1*). Score! 50 Calories or Less! 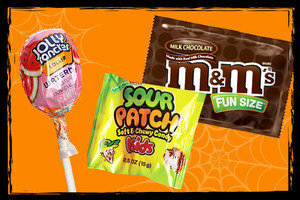 Just 30 - 50 calories (SmartPoints® value 2*) for each of these goodies. Yes! Worth the Splurge! 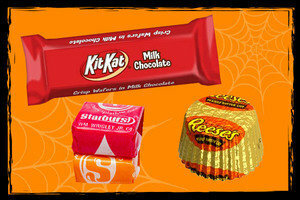 Don't overdo it with these... Each has 70 - 85 calories (SmartPoints® value 4*). It's October 27th, which means it's National American Beer Day. If you're of legal drinking age, enjoy a light beer or two. The average 12-oz. bottle has 100 calories... sometimes less! Pass this along to any calorie-conscious pals! Click "Send to a Friend" ASAP.